Worcestershire Bat Group – Welcome to Bat Country! Worcestershire Bat Group is a volunteer group dedicated to the promotion and conservation of bats in Worcestershire. We run talks, bat walks, bat box checks and a range of other activities throughout the year. If you would like to know more about joining Worcestershire Bat Group, please visit our membership page. No experience is necessary. Our members are a varied bunch, from keen amateur naturalists, professional ecologists and bat workers, to people who just like bats and want to know more about these fascinating creatures. Bats are protected by law, but you can help a bat if it’s in trouble. Any bat that is found on the ground or in an exposed area, especially during the day, is likely to need help. For help with a bat, please contact the Bat Conservation Trust’s Bat Helpline on 0345 1300 228 or email enquiries@bats.org.uk. They will give you advice and, if necessary, put you in touch with a bat carer in your area. Please do not contact us directly about a grounded or injured bat – carers only respond to calls from the BCT Helpline. 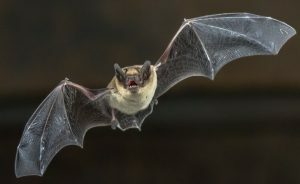 For more information about how to contain a bat, please visit the BCT website.